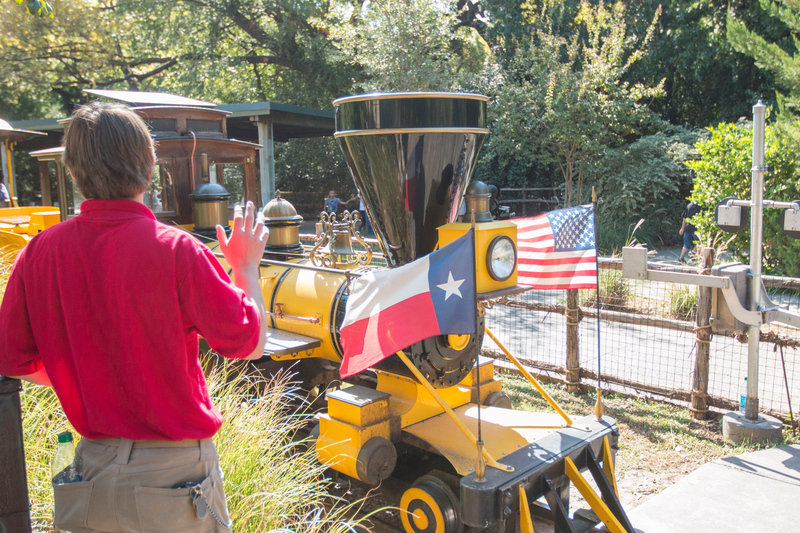 Become a junior train conductor and ride the rails on the Yellow Rose Express Train at the Fort Worth Zoo. Participants will work alongside the Yellow Rose Express staff collecting tickets and greeting guests, clearing the train to leave the depot and ringing the bell at crossings. Participants will also receive an official certificate, train hat and safety vest and enjoy reserved seating. The junior train conductor must be 5 to 12 years old and accompanied by an adult. No unescorted youth will be allowed. The junior train conductor experience is offered daily at 11 a.m., 12:30 p.m., 2 p.m. and 3:30 p.m., excluding the month of January and the week of Spring Break. Call 817-759-7337 for additional details. In the event of inclement weather or a mechanical issue that prevents the train from operating, your Junior Conductor Experience will be rescheduled.